Ribbons of dust festoon the galaxy NGC 613 in this new image from the NASA/ESA Hubble Space Telescope. 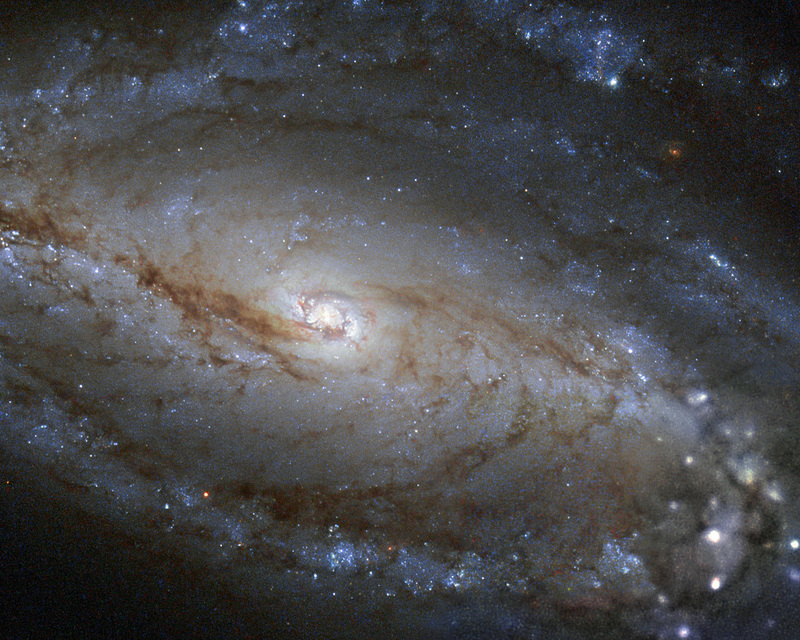 NGC 613 is classified as a barred spiral galaxy for the bar-shaped band of stars and dust crossing its intensely glowing centre. About two thirds of spiral galaxies show a characteristic bar shape like NGC 613 — our own galaxy appears to have one of these bars through its midline as well. 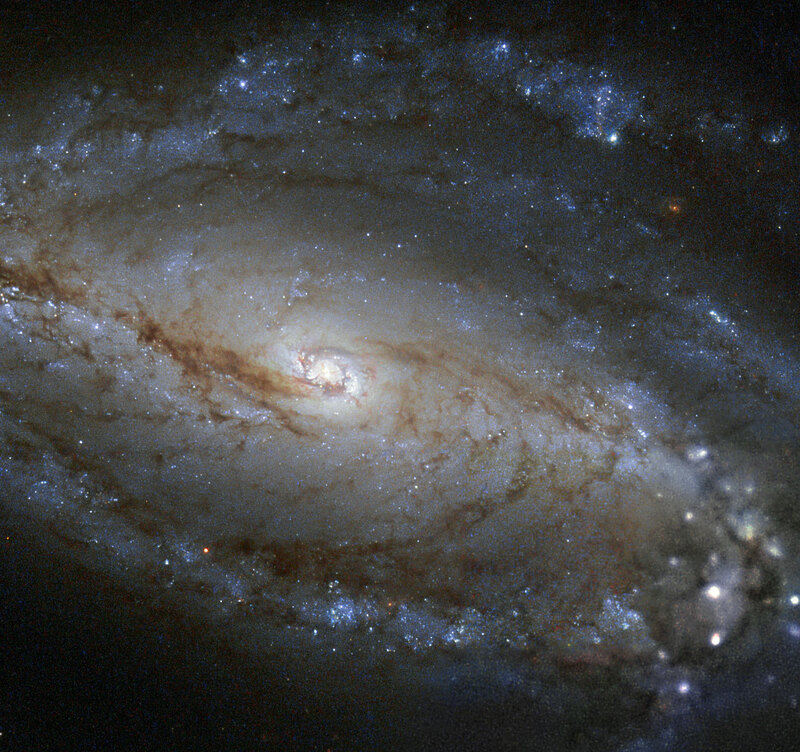 NGC 613 lies 65 million light-years away in the constellation of Sculptor (The Sculptor). It was first noted by the English astronomer William Herschel in 1798 and later by John Louis Emil Dreyer, a Danish–Irish astronomer, who recorded the object in his 1888 New General Catalogue of Nebulae and Clusters of Stars — hence the letters "NGC". 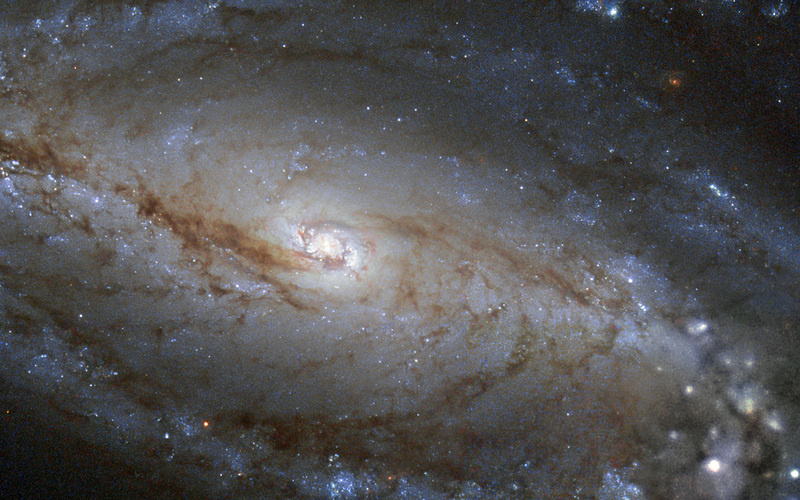 NGC 613's core looks bright and uniformly white in this image as a result of the combined light shining from the high concentration of stars packed into the core, but lurking at the centre of this brilliance lies a dark secret. 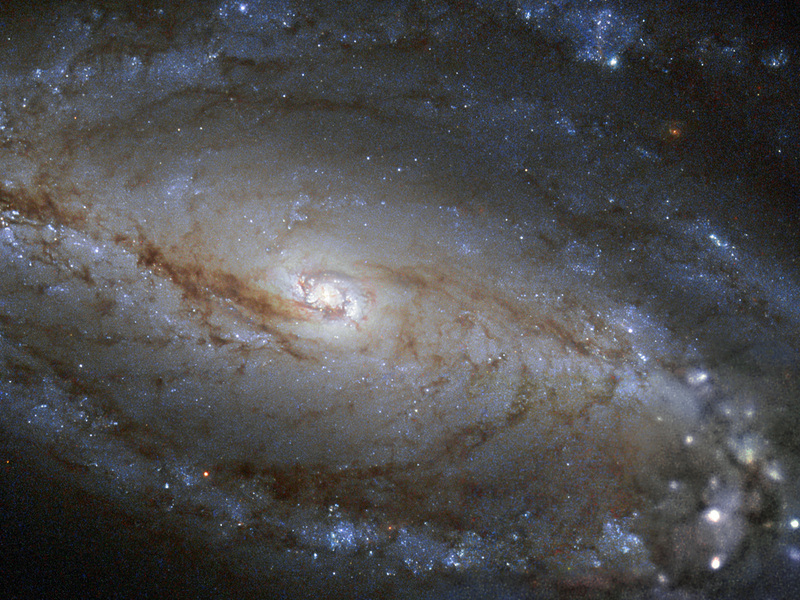 As with nearly all spiral galaxies, a monstrous black hole resides at the heart of NGC 613. Its mass is estimated at about ten times that of the Milky Way's supermassive black hole and it is consuming stars, gas and dust. As this matter descends into the black hole's maw it radiates away energy and spews out radio waves. However, when looking at the the galaxy in the optical and infrared wavelengths used to take this image, there is no trace of the dark heart. A version of this image was entered into the Hubble's Hidden Treasures image processing competition by contestant Robert Gendler. Position (Dec): -29° 24' 57.03"